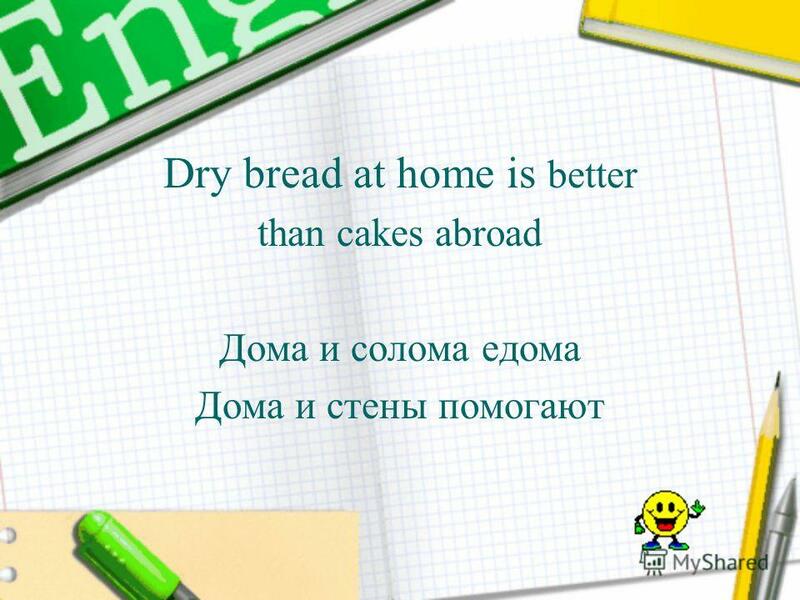 Презентация на тему: "Different countries – different languages. 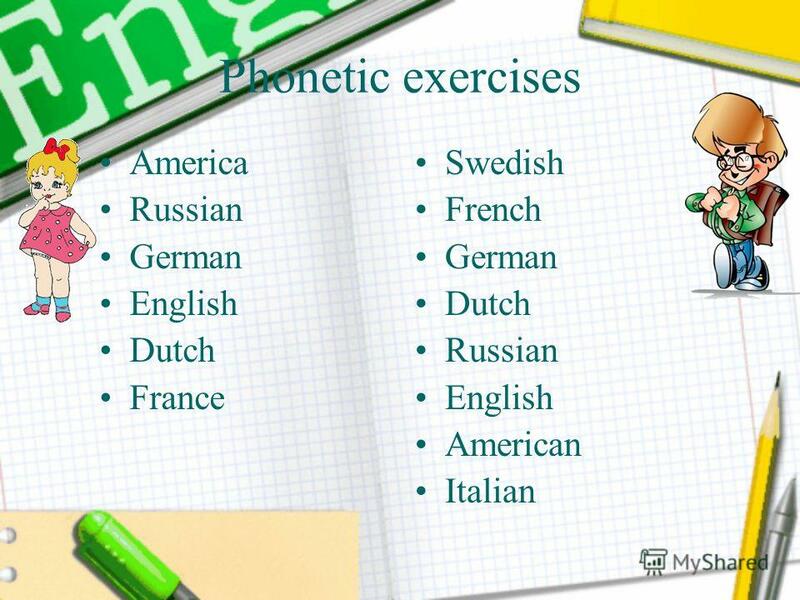 Phonetic exercises America Russian German English Dutch France Swedish French German Dutch Russian English.". Скачать бесплатно и без регистрации. 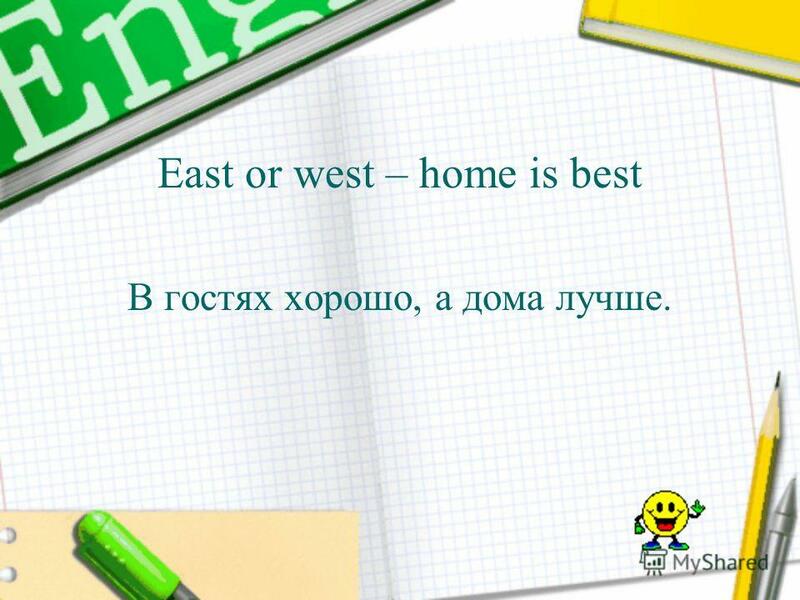 5 East or west – home is best В гостях хорошо, а дома лучше. 6 There is no place like home Свой дом самое лучшее место В гостях хорошо, а дома лучше. Хоть по уши плыть, а дома быть. 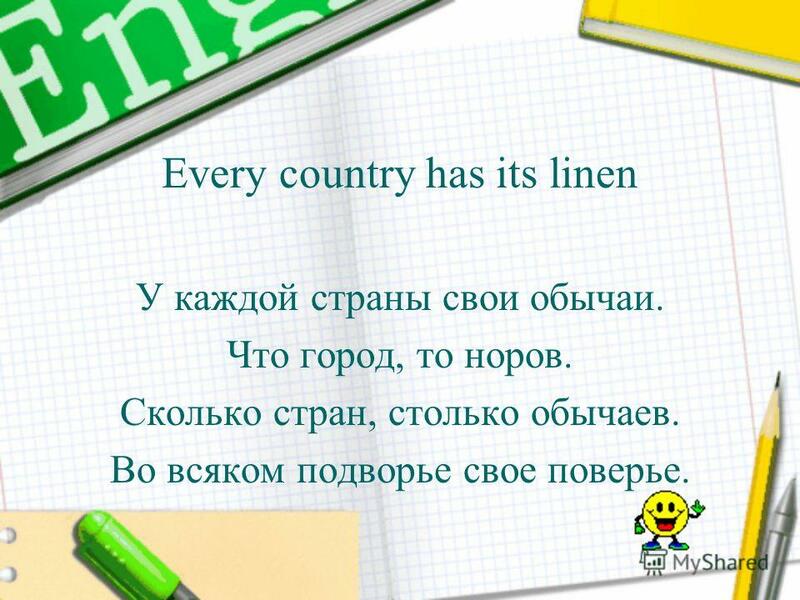 7 Every country has its linen У каждой страны свои обычаи. Что город, то норов. Сколько стран, столько обычаев. Во всяком подворье свое поверье. 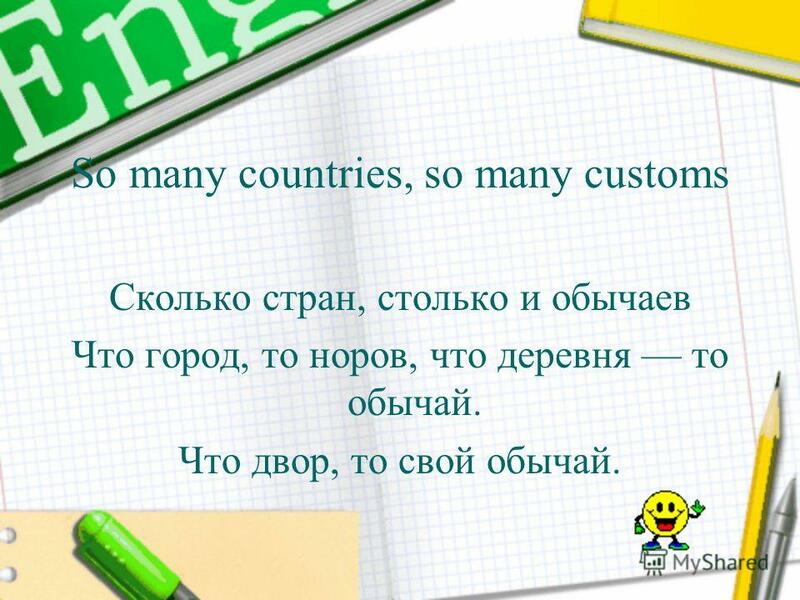 8 So many countries, so many customs Сколько стран, столько и обычаев Что город, то норов, что деревня то обычай. Что двор, то свой обычай. 13 Who wants to be a millionaire? 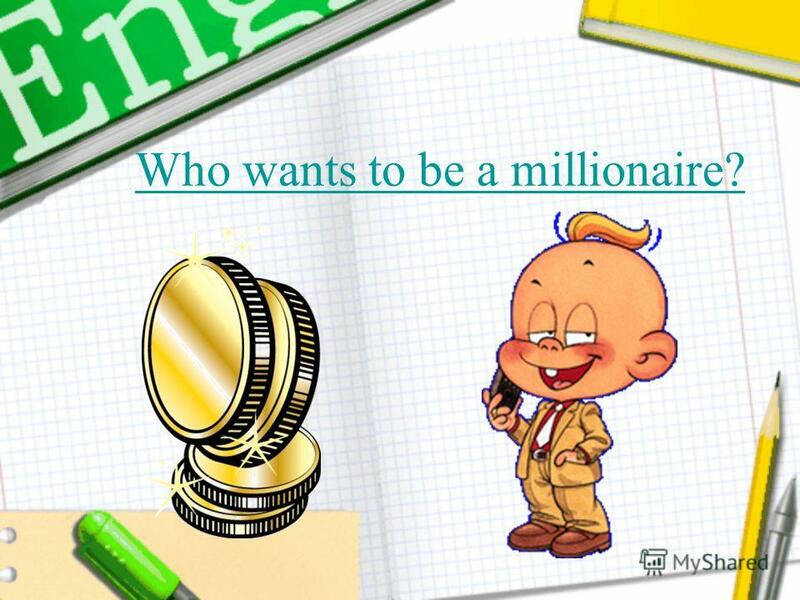 Who wants to be a Millionaire?. Confident? The Prizes 1 - $10 2 - $50 3 - $100 4 - $200 5 - $300 6 - $400 7 - $500 8 - $1000 9 - $2000 10 - $3000 11. CANADA The UK NEW ZEALAND AUSTRALIA THE USA Учитель Месхи И.А. The United States of America The United States of America is the fourth largest country in the world (after Russia, Canada and China). It is situated. Викторина Англоязычные страны. I Part How many states are there in the USA? 1) 48 2) 50 3) 51 4) 52. English-speaking countries Countries and Nationalities Canada – the Canadian the UK – the British England – the English Ireland – the Irish Scotland. The United States of America. The USA The country is situated in North America. It is the 4th largest country in the world. 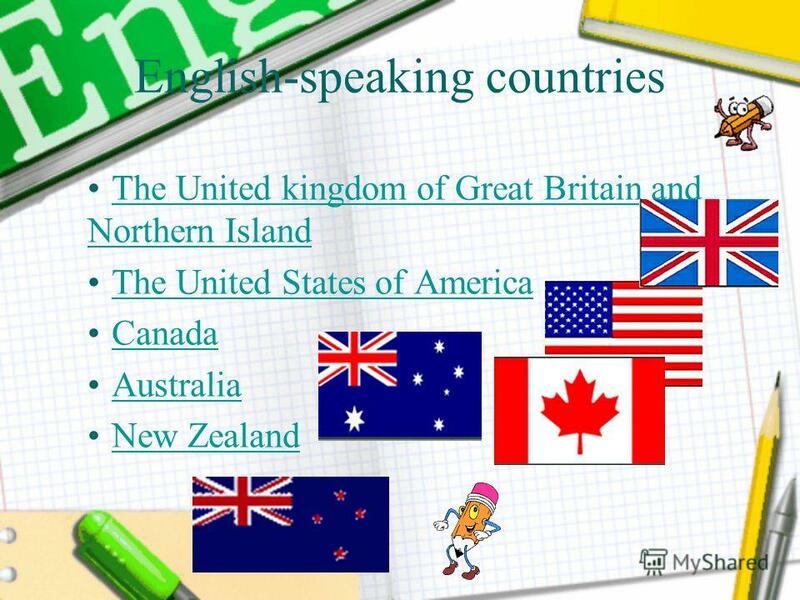 English speaking countries. Работу выполнила: Максименя Анна. 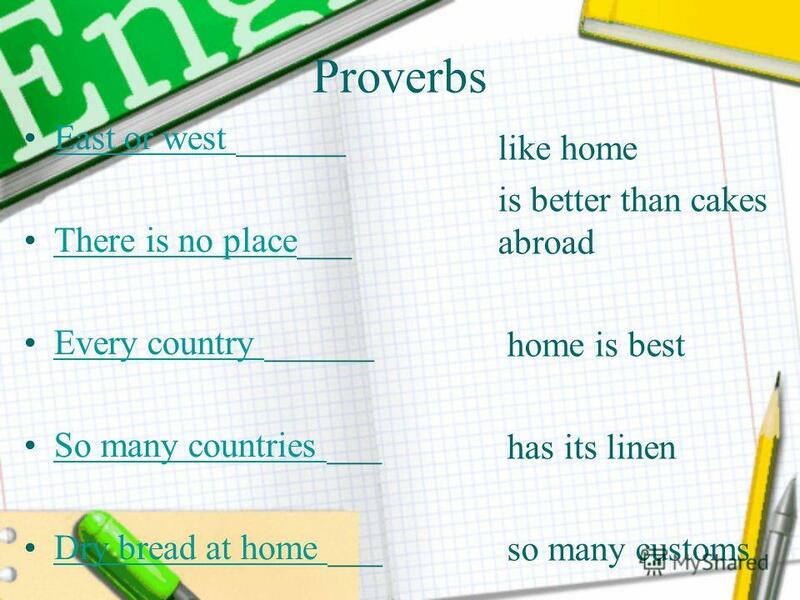 The quiz English speaking countries Выполнила: учитель английского языка МООУ СШИ 2 Феденко Галина Васильевна. The United Kingdom of Great Britain and Nothern Ireland. The 26-th of September is the European Day of Languages. 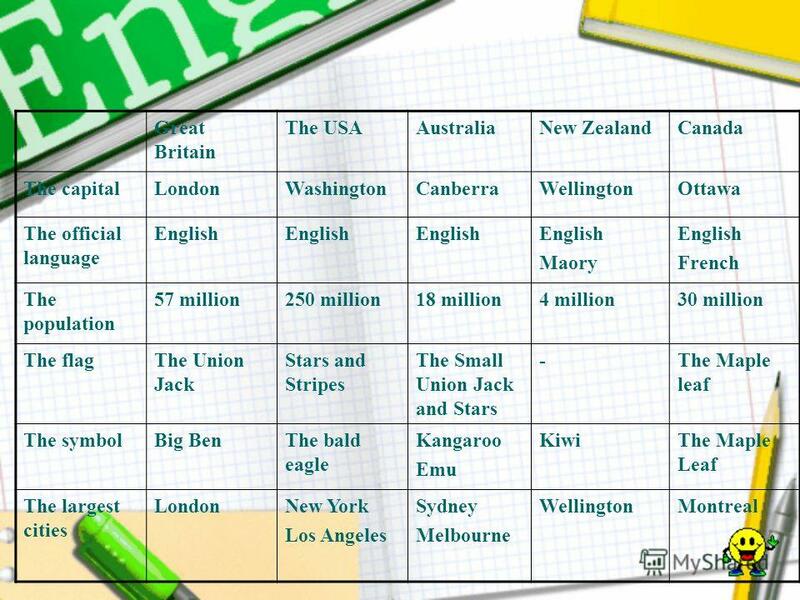 English – speaking countries Quiz for the 8th form Teacher of English: Antyushina L.V. Canada is a country in North America. Canada is a very big country. The capital city is Ottawa. The name «Canada» means village. Queen Elizabeth is the. EAST OR WEST – HOME IS BEST Жидкова Екатерина Вадимовна учитель английского языка МБОУ 18 город Нижний Тагил. English-speaking countries. 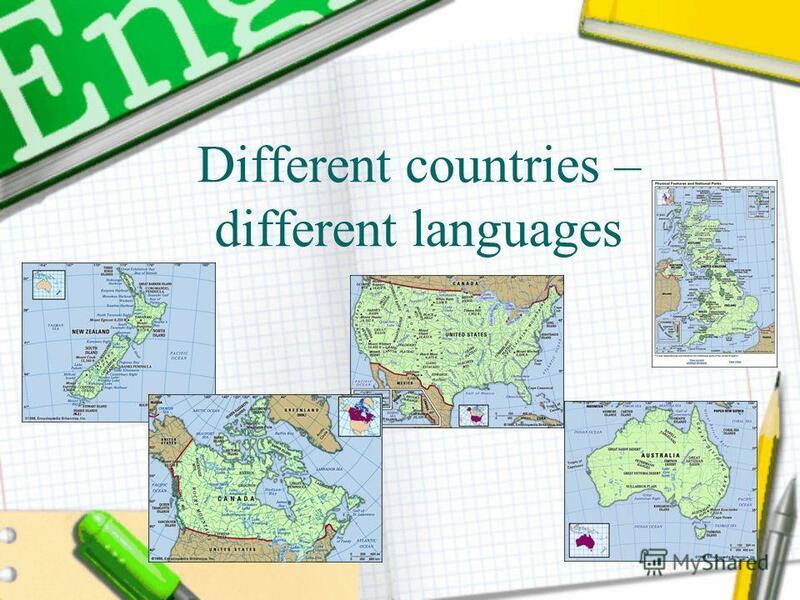 English is the native language in: NEW ZEALAND GREAT BRITAIN Australia Canada USA. A country lies between the Indian and A country lies between the Indian and the Pacific Oceans. the Pacific Oceans. Sometimes Australia is called the Lucky. ENGLISH-SPEAKING COUNTRIES. 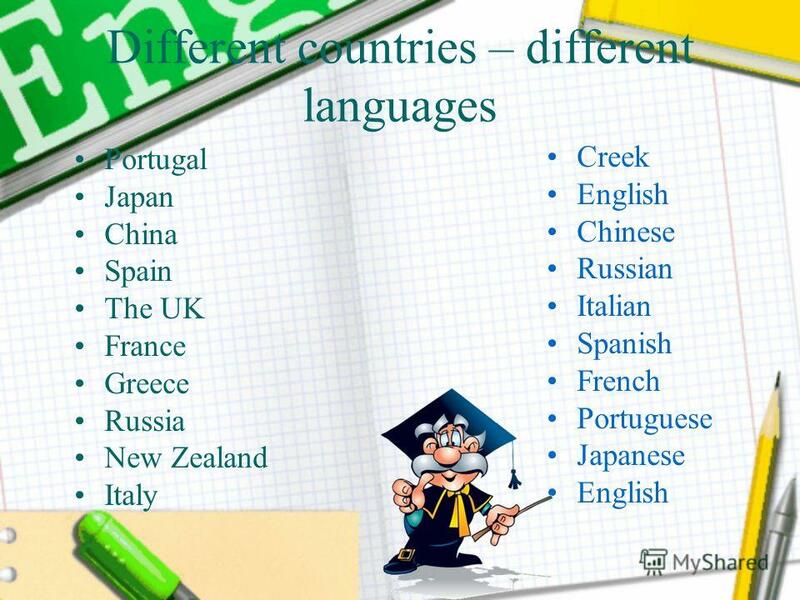 The aim of the project: Learn more about English-speaking countries. Our tasks: To find information about English-speaking. Australia is the only country in the world that is also a continent. Australia lies between the South Pacific Ocean and Indian. The name of the country. Match the countries and their capitals: Italy France Germany Spain The Netherlands The Czech Republic India Belgium Norway Bern Amsterdam Rome Prague.